Hi everyone! 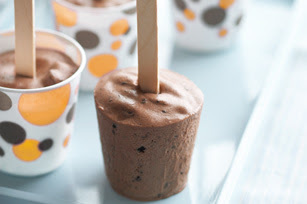 Thanks to Maggie & Marci for suggesting a few weeks ago that I make pudding pops with my new popsicle mold. The kids and I just made some Cookie & Creme Pudding Pops out of the Kraft Food & Family magazine. They made them mostly without help. We're anxiously awaiting this evening when we can eat them for our Family Home Evening treat. Click on the picture to be linked to the recipe. The kids licking the pudding pop bowl. Yummy! All right. There's my menu. Now feel free to post your menu for this week! Check back later this week for the recipe for the yummiest cinnamon rolls.